For any event, be it big or small, a hog roast is the perfect answer to your food requirements. 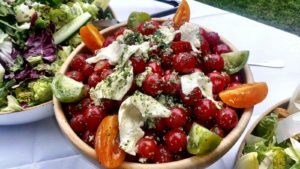 It is a great way to provide your guests with plenty of beautiful food that they will enjoy and still be talking about weeks later. 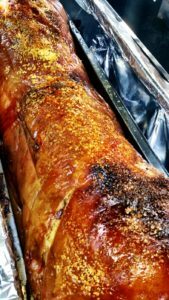 At Hog Roast Rugby we have catered for literally hundreds of events and can attest to the fact that a roasted hog always impresses. If you are planning an event, be it a small intimate family party or a big corporate event, we can help. 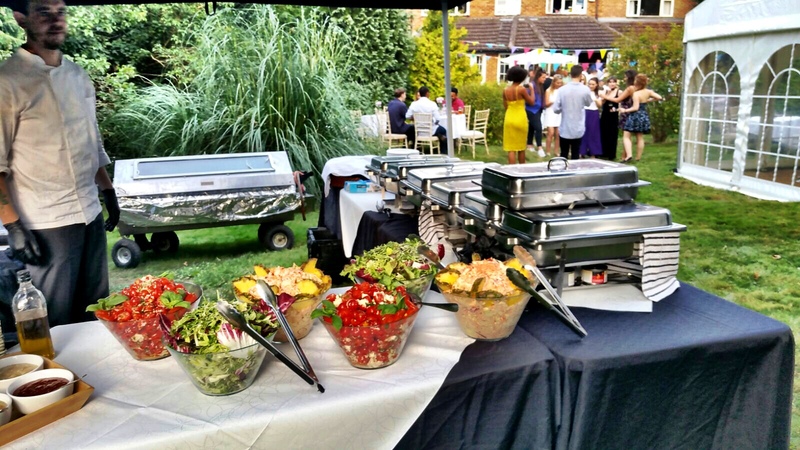 We offer a huge choice of foods, which guarantees that no one will go home from your party hungry or unhappy. Give us a call today. 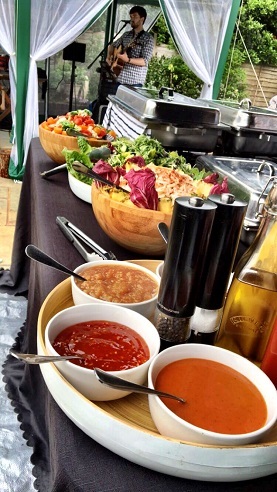 We really believe that good food is a core element for any successful event, ensure you hire only the best! There really is nothing quite like a large hog cooking gently on a spit. It is a piece of food theatre that never fails to impress. Better still, it tastes wonderful. Most people simply cannot resist coming back for seconds. There is always plenty of meat to go around and usually plenty left over. This gives you the option of making the cold cuts the centrepiece of a buffet for the evening. Our team of experienced cooks take care of absolutely everything. You do not even need to worry about providing a serving table, plates or cutlery. Included in the price is high quality disposable serving platters, plates and cutlery, which makes clean up easy. All your guests have to do is to put their empty plates in the bin. As well as hog roasts we offer a range of other meats, and will happily cook your meat on a barbecue if that is what you prefer. Inspiration for our party platters is drawn from across the world, so all of your guests’ tastes can be catered for. Rugby is a market town in the spectacular county of Warwickshire. The town is a large place home to around 70,000 people which in fact makes it the second largest town in the county. The town of Rugby itself is one thriving with culture, entertainment and plenty of sport! Like it’s name may suggest, the town is the birthplace of one of the world’s most loved sports. Here at Hog Roast Rugby we have a large range of talents which all contribute to our fantastic, world class catering businesses. As our name suggests, we are of course highly skilled in the cooking method of hog roasting. With years of experience we have perfected the art of roasting a whole pig over hot flickering flames, turning it very slowly for several hours. But that isn’t where our own talents end – we are also great and knowledgeable about catering for an array of events. In the Rugby area alone we have been lucky enough to be able to cater for weddings, school fairs, christenings and one of my very favourites – a surprise birthday party! We always have a great time at any kind of event in Rugby and would love the opportunity to cater for your next occasion in the area. Hog Roast Rugby have a range of menus, food options and service styles for you to choose from to personalise the meal to your own and your guests needs. 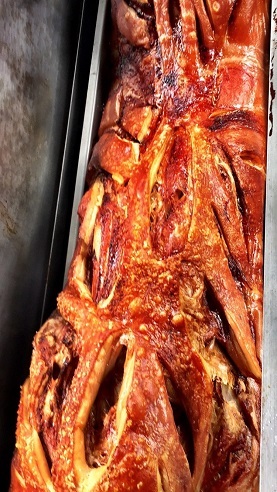 For those who like to cook for their friends and family we offer a hog roast machine leasing service. We deliver everything to your home and take care of washing the machine afterwards. If you would like a spectacular feast for a reasonable amount give us a call. We will go through the options with you and give you a full quote.